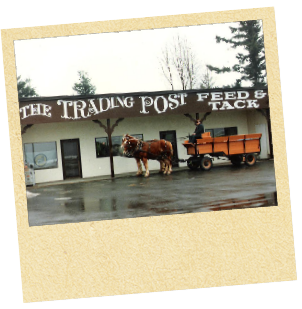 The Trading Post Feed and Tack Ltd.
9 - 5:30 Mon - Sat. Head to Toe, Nose to Tail - Outfitters! 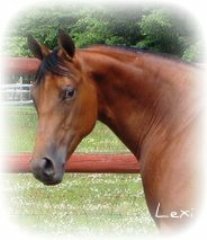 Winston Churchill once said, "There is something about the outside of a horse that is good for the inside of a man." We agree! No wonder horseback riding is one of Canada’s favorite outdoor activities. Who hasn’t dreamed of galloping on a sunny deserted beach or riding across the prairie into the sunset? Ah, the freedom of it all! Whether you’re a professional rider or a Newbie, making sure you have the right riding equipment is key. 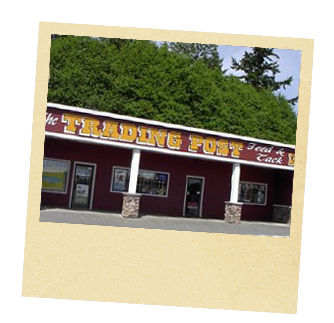 Here at The Trading Post Feed and Tack Ltd., we carry everything you’ll need for everyday riding and for dressier events like horse shows. Our clothing line includes several brands of equestrian helmets and boots, an absolute "must have" whether it’s your first ride or you are a seasoned veteran! All helmets are ASTM approved, of course. Come on in and we’ll make sure you have a perfect fit. We offer several lines of shirts, jackets, breeches and jeans for men women and children. All of our riding apparel is designed and created with durability, comfort, safety and overall a good looks in mind. Our staff will be happy to assist you with what is acceptable show ring attire for each discipline of riding. Our horse clothing line includes fly, summer and rain sheets, for warm weather . Light, mid and heavy weight blankets for Spring, Fall and Winter. Getting more serious about it? We’ve got everything to help you and your horse shine…. Literally. Grooming products, vet supplies, excellent quality feed and tack, right up to and including custom made saddles! Again, thanks for taking the time to browse our site. Any comments are welcome. We look forward to hearing from you!